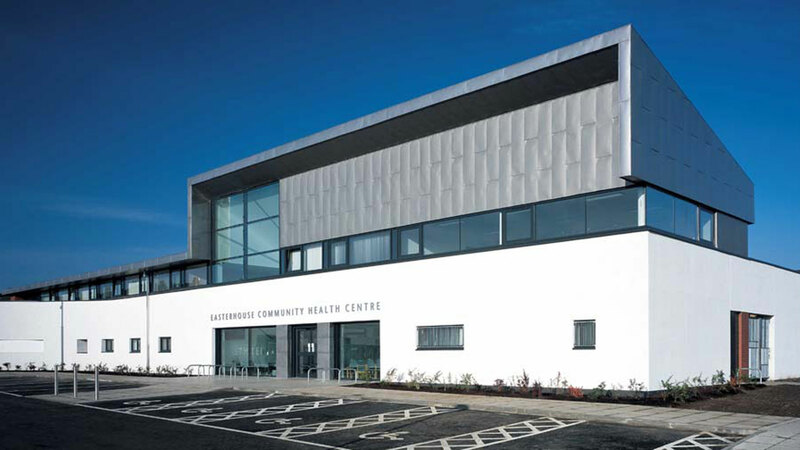 The Easterhouse Health Centre project converted a featureless 1970s brick box that was the previous health centre, creating a new integrated health care facility which incorporates GP practices, dental practices, a mental health unit and various other community services. The design approach adopted a new curved rendered wall which unified the existing and new build sections of the building into a single entity and creates a clean, modern external appearance. A key concern during the project was the need for the Health Centre to provide continuity of services and therefore it was split into four phases. There was extensive remodelling required to the existing buildings, to open up new circulation routes and create a clear hierarchy of space. This involved careful investigation and structural intervention into the existing building. The new build structure comprises of a steel frame which allowed speed of construction and flexibility of layout. The project was awarded and nominated for numerous awards including a GIA Award and Scottish Design Award.